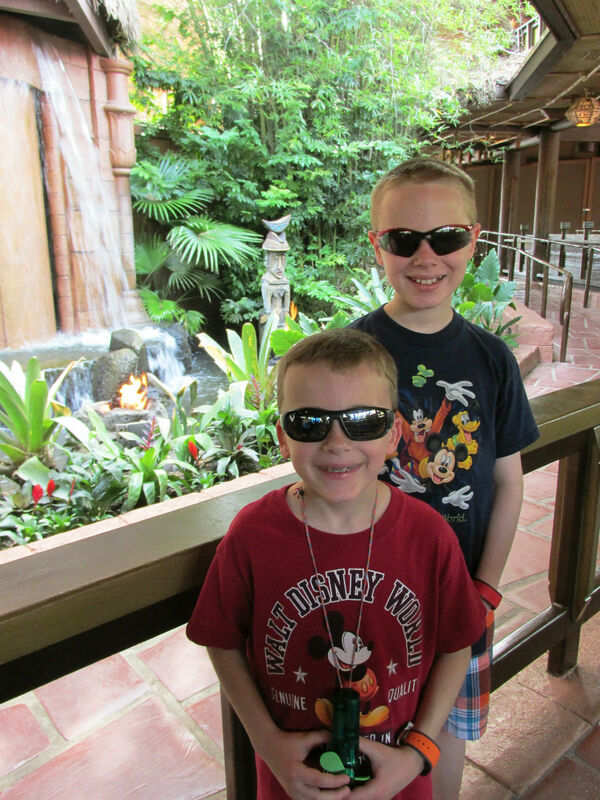 “Picture if you will”…you arrive in Disney World ready to make some special memories with your kids. You have visions of smiles and laughter in your head. Then the doubts slowly creep in. Will these smiles turn to tears and tantrums once your angels see the lines? One thing that everyone can expect to do while in Disney World is to wait in lines. There are queues for everything including restaurants, shows, shopping, transportation, attractions and even restrooms. Depending on the time of year that you visit and whether or not you have a touring plan, your waits could be long and grueling or short and painless. 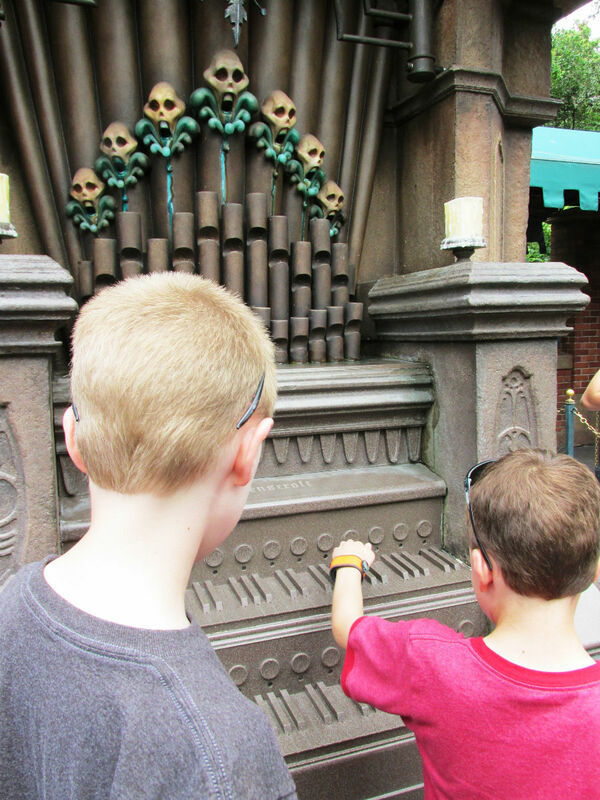 Let’s hope for the second option, but just in case you find yourself stuck in a long queue, here are some helpful tips to keep your kids entertained and yourself sane while waiting in line at Disney World. I confess that before I had my own kids, I had absolutely no understanding of children. 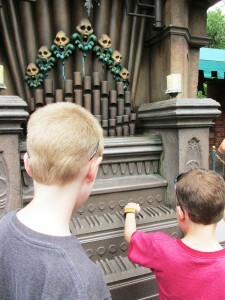 So the first time I traveled to Disney World with my kids, I was clueless that waiting in line would be a big issue. Before you leave home, you might want to prep your kids for the waiting experience. The next time you are in a long queue to buy the latest video game or to play laser tag, point out that this is what it is like waiting in line at Disney World. Yes, you do have to wait your turn, but it is so worth it! Before you get in a long line, make sure your children are ready. Waiting in line with a child that desperately needs a restroom is not fun. This might seem like a no-brainer to you experienced parents, but as a new mom and especially during the transition from diapers to potty-trained, it wasn’t something that automatically occurred to me. If at all possible, try to keep your wait times to a minimum. Get to the park before rope drop, follow a touring plan and use FastPass+. Just these three simple things will shave hours off your wait times each day! Disney is helping us out by now creating some interactive queues. These lines are equipped with games and diversions to keep you and your kids distracted while you wait. You will find these at several attractions throughout the parks such as The Haunted Mansion, Dumbo the Flying Elephant, The Many Adventures of Winnie the Pooh and Test Track just to name a few. Why not have your kids eat breakfast or their snack while waiting in line? Use our Lines app to find a nearby treat, pick one up and head for the queue. This is one of our favorite ways to pass the time, because it also an efficient time saver. My family loves to play games so this is a great option for us. We like being in the “Disney bubble” so we do things like who can name the most Disney movies, characters or attractions. As my kids have gotten older, we now do Disney trivia that my dad always researches before each trip. Another fun option to pass the time is searching for hidden Mickeys. You can just search on your own to see who can be the first to spot one or you can consult a hidden Mickey book and play it more like a scavenger hunt. If all else fails, you can always turn to electronics. Disney has some great free apps that you can download like Frozen Free Fall or Nemo’s Reef that can keep your children occupied while you wait. Hopefully, with these few simple tips, you and your family can pass the time and have some fun while waiting in line at Disney World! Do you have any additional ways to keep kids entertained while they wait? Please leave a comment! Kristi is a lifelong fan of all things Disney and has been visiting the resorts since she was a baby. She is thrilled to share her passion for the Disney parks and feels that there is nothing better than enjoying a Disney vacation with the ones you love. Kristi is the author of "A Tale of Two Resorts: Comparing Disneyland and Walt Disney World" and "501 Ways To Make The Most Of Your Walt Disney World Vacation" and founder of the blog DisneyWorldEnthusiast.com. She can be contacted on Twitter @DWEnthusiast, on Facebook at www.facebook.com/disneyworldenthusiast or by email at disneyworldenthusiast@outlook.com. Going in a week with 6 year old so this is great timing! A small magnetic jigsaw (“3D Magna Puzzle”)which came in its own box was a big hit with my daughter (and most of the queue nearby) last year. Pieces stick to box so no chance of losing them, weighs almost nothing and easy to shuffle forward whilst holding it! Recommend the optical illusion ones for added difficulty. Above all, don’t think it’s okay to let Dad wait in the line while the rest of the family does other stuff, then meet up when dad gets to the front. If the line’s too long for your kid to wait, go to the next attraction. Everyone waits in line or no one waits in line. Totally agree Paul, always amazed how many adult groups think it is OK to push past the queue to get to their friend near the front. Absolutely! If it’s a 1-time thing, like your toddler suddenly needs to go to the bathroom, I try to be understanding. But making a practice of it is just wrong. If only Dad waited in line, only Dad earned his spot on the ride. I couldn’t agree more! I think people seem to be a little more willing to let this type of thing slide at Disney World or like Cynthia mentioned when you are taking a young child to an emergency restroom break, especially when you pass them on your way out of the line to the restroom and on your way back again to rejoin your family. However, I’ve been at Disneyland in the line to get a Fastpass for Radiator Springs Racers when security had to be called because a women tried to move ahead in the line and a group of unruly young men went nuts and people all around them joined in. Mob mentality started to take control. Ultimately the lady was returned to the end of the line, but each time our sections of the line crossed, these men continued to harass this woman for the entire hour wait. For the security of yourselves and the people around you, please wait your turn, folks. You never know the type of person you are cutting in front of! “Disney sticker puzzles” into search engine. They are made by Lee Publications and consist of numbers 1-30 or 1-100 mixed up stickers. When put in the correct order reveal princesses, cars, etc. great for restaurants too! Angela – that’s a great tip. I think my kids will love sticker puzzles. The problem will be pacing it so they don’t burn through them all at once. Hello everyone! So first of all, let’s not miss a few obvious things here. First off, waiting in line is a part of life, so for the kids, it’s good character building. Second, what a great time to actually talk and engage with your child(ren). I have found that waiting in line is sometimes the only time when you are paused long enough to actually look them in the eye and have a conversation (that isn’t some form of discipline). Also, waiting in line at a major amusement park should not be a surprise to an adult. Your own lack of frustration and preparedness to wait will go a long ways with the rest of your family or group! And finally, a Touring Plan goes a long way, and so does avoidance of ridiculous long lines in the first place! Let the amateurs have those long lines – if you’re reading this comment, a long line should not be a part of your day at all! As far as activities go, we had great success with having conversations and really locking in memories. Telling the stories while we waited of our favorite attractions and things we remember were great! We also utilized that time to review our touring plan, to evaluate the plan for the day to that point, and to adjustments for the rest of the day. Snacks are great to have in long lines – they keep little hands busy, and food ALWAYS helps. We got the park maps out and checked for other nearby attractions we may want to go and explore. Also, there are several small-box games available now, like “table topics” and “spot it” which are good time-passers as well. Waiting in line or just waiting for anything can sometimes be an issue for both the young and old. But waiting in Disney World is just part of the experience and to learn that early is best. But it can be turned into part of the fun experience with a little help. The games, trivia and food ideas are all great. I can also remember exchanging hats, taking photos with funny faces, searching for a coin for the fountain, reviewing a couple funny photos taken earlier in the day, finding the ride on each kids personal map and talking about what dessert or snack we will be having later in the day. Before you know it, you will be within site of the ride itself and the long wait will have been forgotten. We now have teenagers but I truly would do anything for those magical times waiting in lines with little ones. They were usually so excited and happy that it wasn’t much of an issue. But I agree with Eric, just play with your kids! As a kindergarten teacher, I know how much kids can be engaged when they have their parents’ full attention. We used to play, “I spy.” “Name that ride in Magic Kindgom” by giving clues (It is a water ride, it is indoors)or Name that character from Disney movies. Considering children are so used to being entertained by electronics, this is a perfect way to make memories as a family. Just enjoy your vacation and your children! Download the Touringplans app and let them plan the next days plan! One easy suggestion for the ten and younger crowd: bubbles. Bring a bubble dispenser or stock up on extras the next time you go to a wedding. We brought a small box of wedding bubble containers, more than enough for each day in the park. Whenever we had a wait in line or for other family members and the kids got restless, out came the bubbles. The best part is that it entertained both our kids and other families. More than one family expressed their gratitude when we passed on a gift to their child! Great ideas so far. Another idea is to meet other guests in line. Start conversations about where they are from & plans. Let the kids make friends. My girls love talking to other kids & adults plus it is fun when you run into them later and trade stories in another line. When my son was younger and we were waiting, he took the camera, picked a picture taken earlier in the trip and zoomed way in. Then he said, “Mom, where in the world is this?” I had to guess what the picture was based on the super zoomed in part. We had so much fun taking turns doing this that the time flew by. The last time we went to Disneyland we took a deck of cards for the plane ride and had forgotten to take them out of our back pack. The first day we had to wait in line and my oldest son found the cards in his back pack while looking for a snack. There was a garbage can beside us(there is one every 24 feet in lines) so the kids started playing cards on top of the garbage can. It was awesome and passed time very quickly. The kids remember this and talk about it all the time and our 16 year old loved this so much that he wrote his 4H speech on waiting in lines at Disneyland and what to do while you wait. Our stuck in lines sanity saver was rock paper scissors. Totally simple, doesn’t require you to bring anythjng, and our three boys never seemed to tire of it.